Angers, 16 January 2019 – The internationalisation process of Macfrut, the international trade fair for the fruit and vegetable sector, to be held from 8 to 10 May in Rimini (Italy), continues: this time, the protagonist is France. 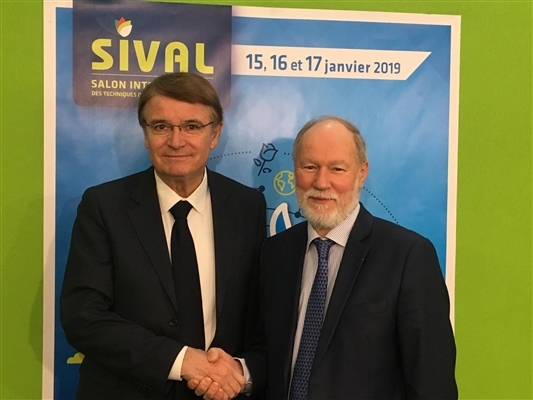 In fact, the signing of a partnership between Macfrut and Sival, the trade fair for plant production and services based in Angers (France), was announced this morning at a press conference held during the 2019 edition of the French trade fair. The agreement covers three main projects. International Asparagus Days, the specialised event on asparagus that was held in October 2018 at the Cesena Fiera exhibition centre, which attracted great interest from visitors and exhibitors, will be held annually, alternately in Italy and France. Therefore, the next edition will be held on 29-30 October 2019 in Angers and, in 2020, it will return to Italy. The second project concerns Macfrut 2019, where there will be a French pavilion, organised by Sival. In 2020, this initiative will be repeated (third project) the other way around: Macfrut will be present at the Sival trade fair in France with an Italian pavilion. ‘We are proud to launch this partnership with Macfrut, which represents a step forward in SIVAL's international development. 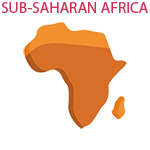 This growth can benefit everyone, our exhibitors, the supply chains and the territory. We are close to Macfrut team and I am sure that this partnership will be fruitful.’ – explained Bruno Dupont, President of Sival.